How has your day been? 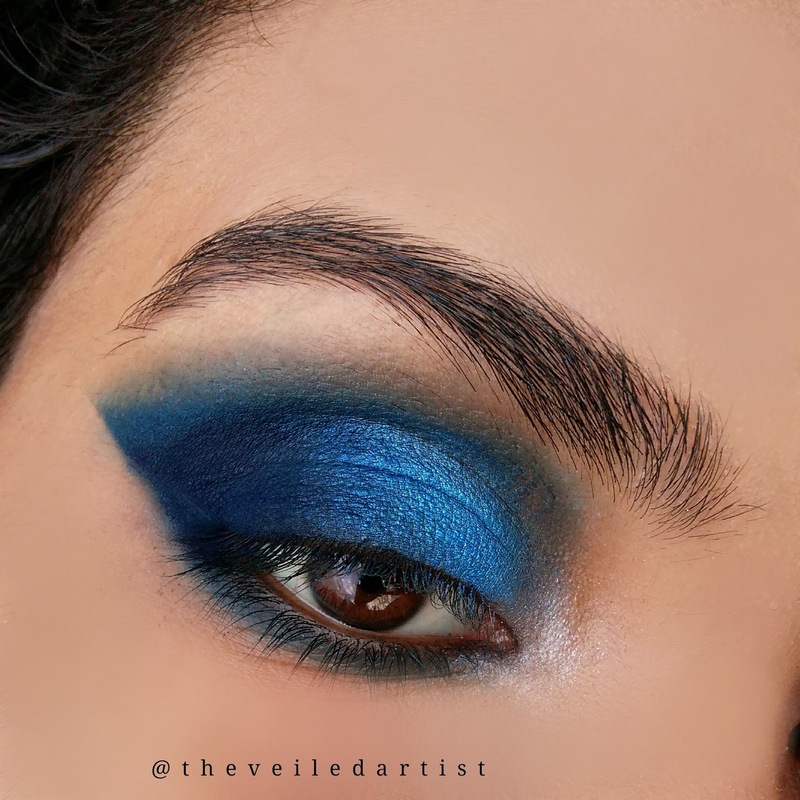 Today I was feeling wild and I had to create a look that depicted how I was feeling! 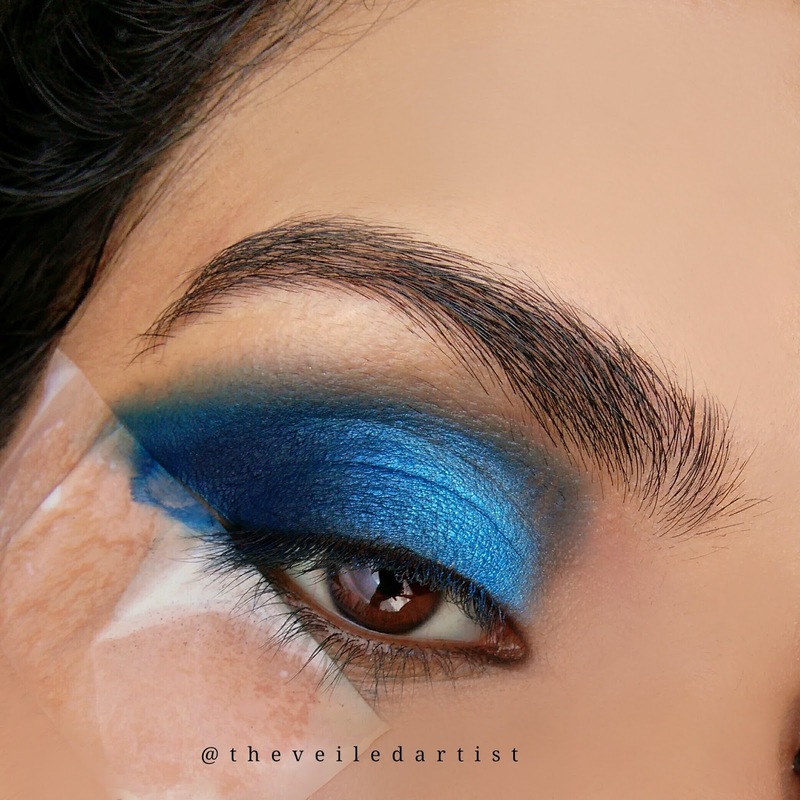 I came up with this fun, crazy, bright, editorial style blue ombre eyes! I hope you enjoy this tutorial! 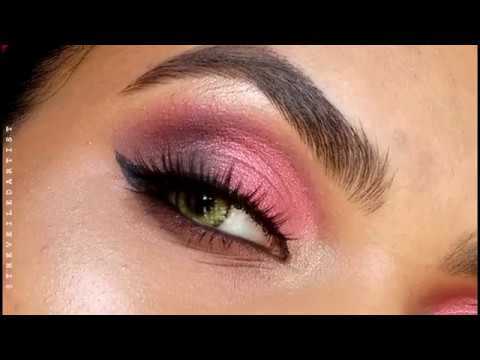 Also, do your eye makeup first when you're doing this look because the colours are so bright and pigmented, there may be quite a bit of fallout! 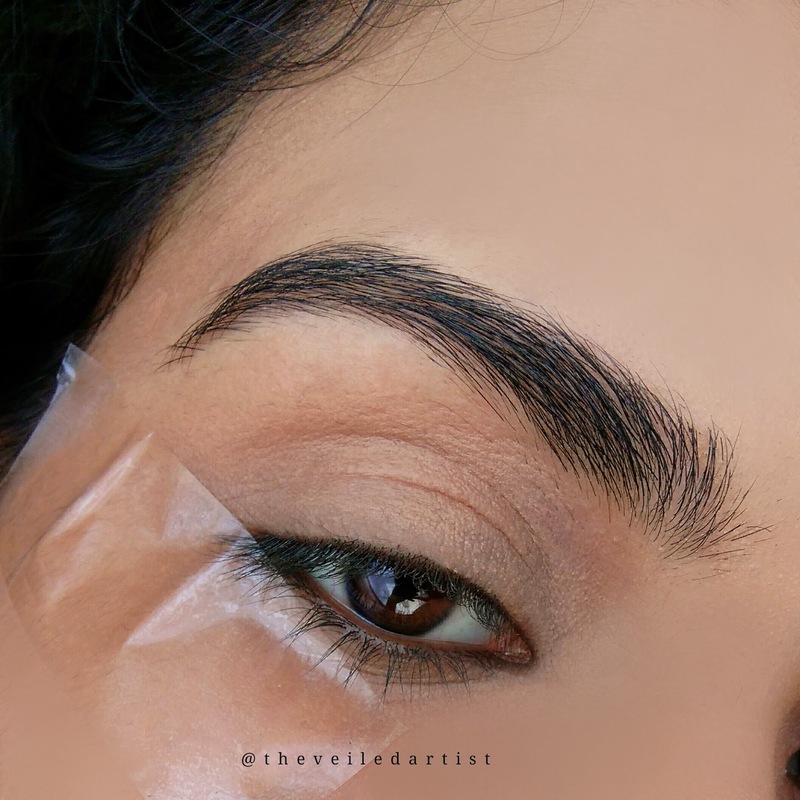 Apply some tape following the angle of your lower lashline towards the tail of your eyebrows. This is to ensure we get a clean line of eyeshadow. Before you apply the tape to your face apply it once to the back of your hand to remove the extra stickiness. 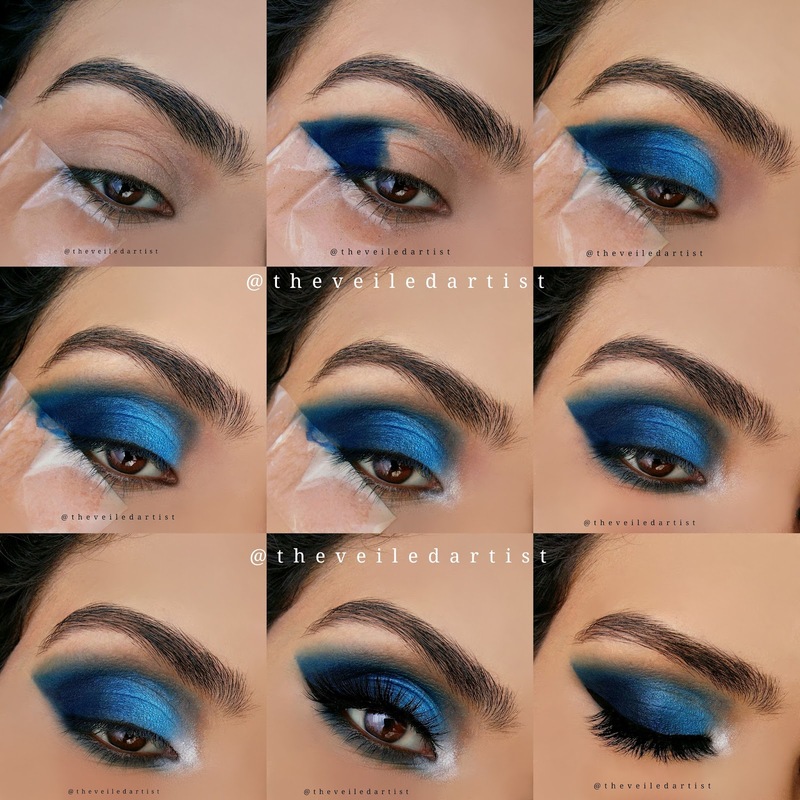 Apply the darkest blue shade into the outer v of your eyes and bring it halfway onto your eyelids. 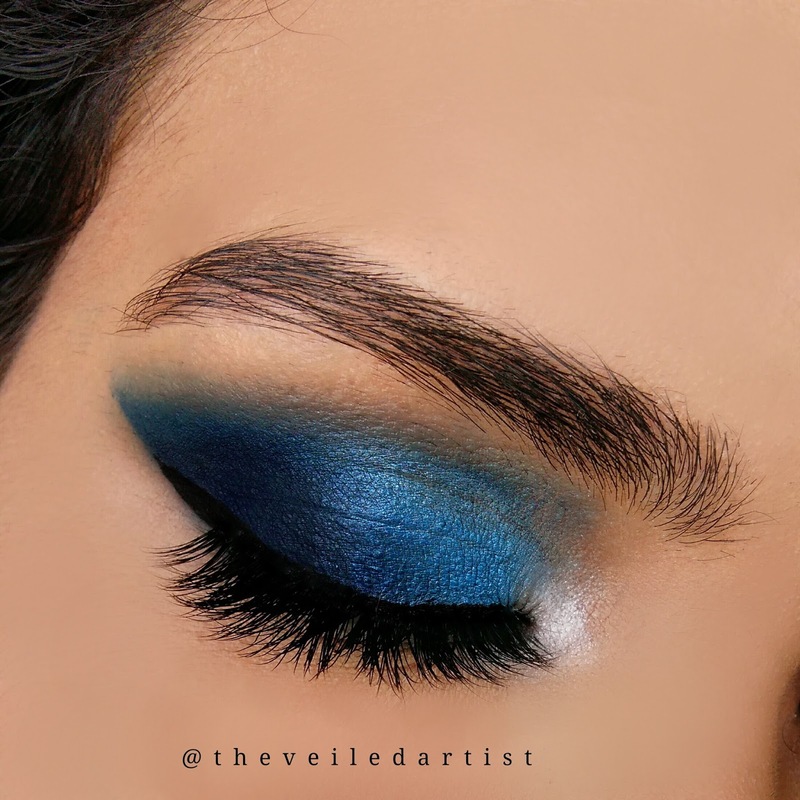 Apply the medium blue shade into the inner half of your eyelids and blend it into the dark blue we previously applied. 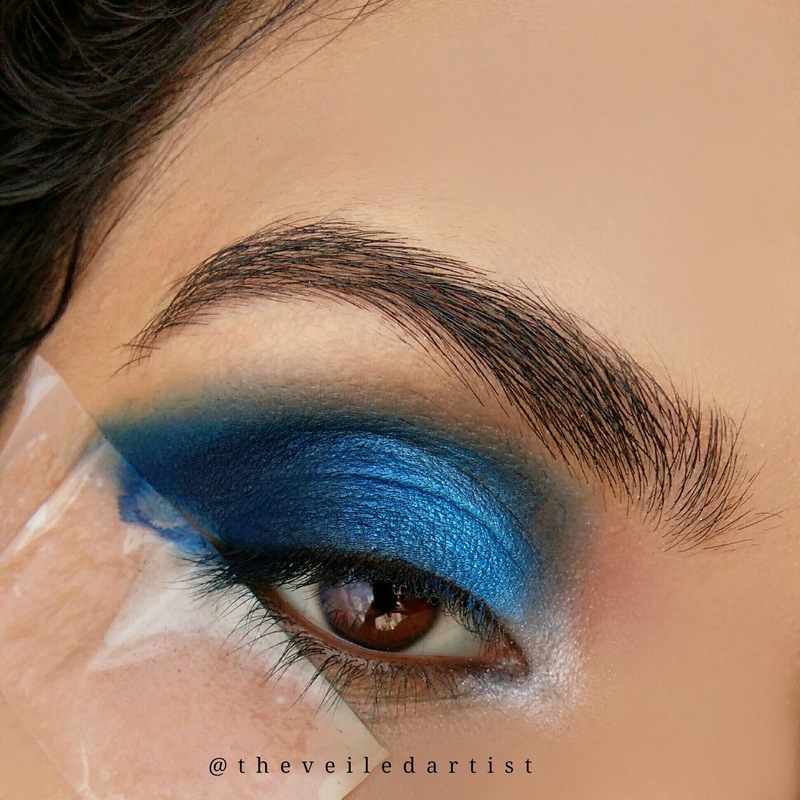 Slightly blend and blur out the edges in your crease but don't worry about it being perfect. I used a white shimmery eyeshadow in the inner corners here but decided to use a matte white shadow later. Remove the tape. And guys, I kid you not! It is suuuper satisfying to see a perfect line of colour when you remove the tape! 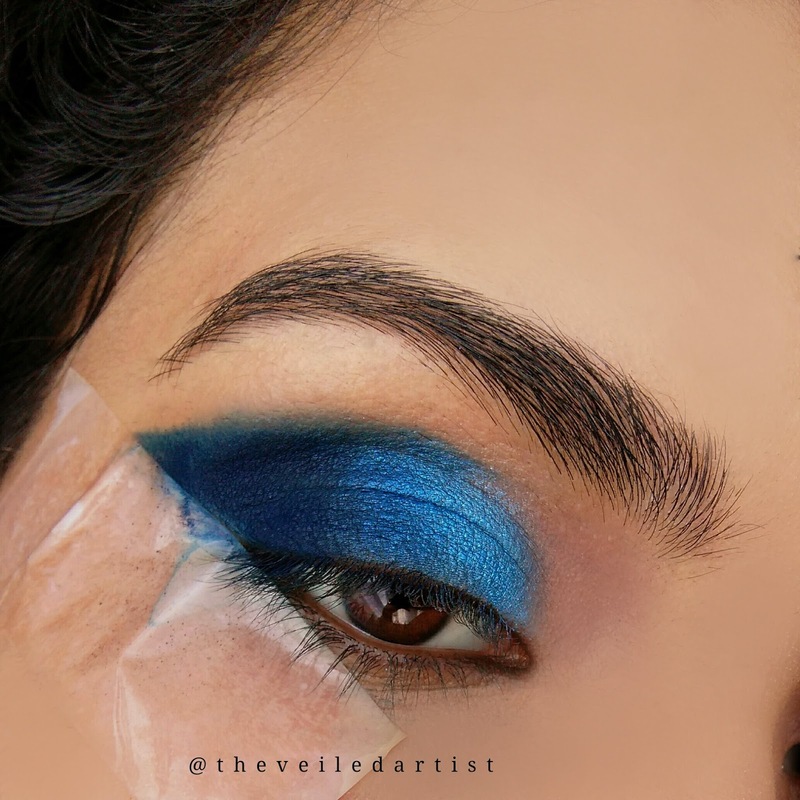 Lightly tap a pencil brush or a small blending into the dark blue eyeshadow we first applied and blend it onto your lower lashline all the way to the inner corner. 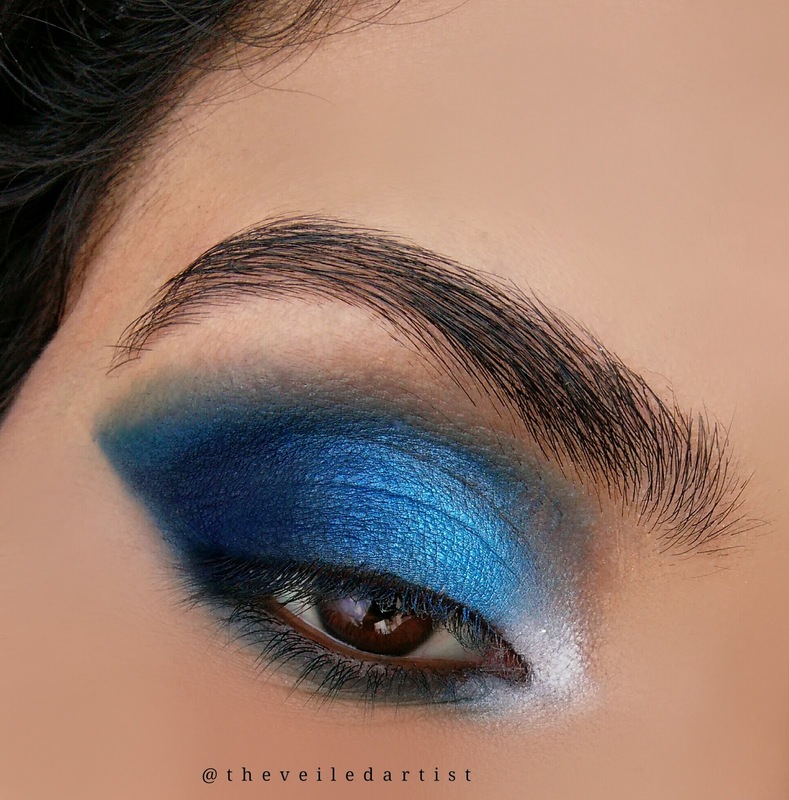 Pat some matte white eyeshadow in the inner corners of your eyes to brighten the whole look up! 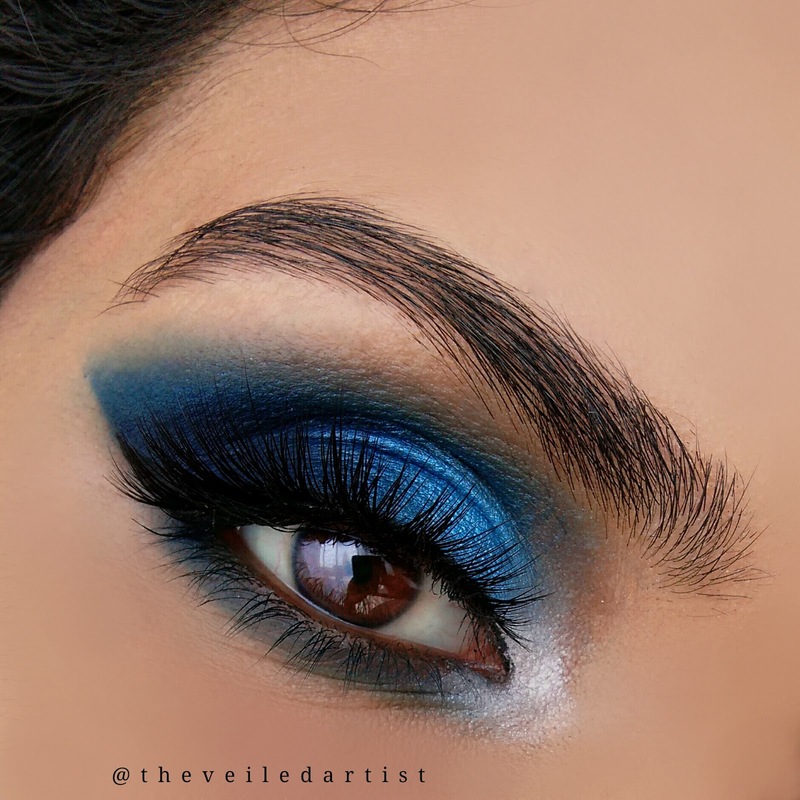 And blend it out into the blue eyeshadow on your eyelids and also your lower lashline. 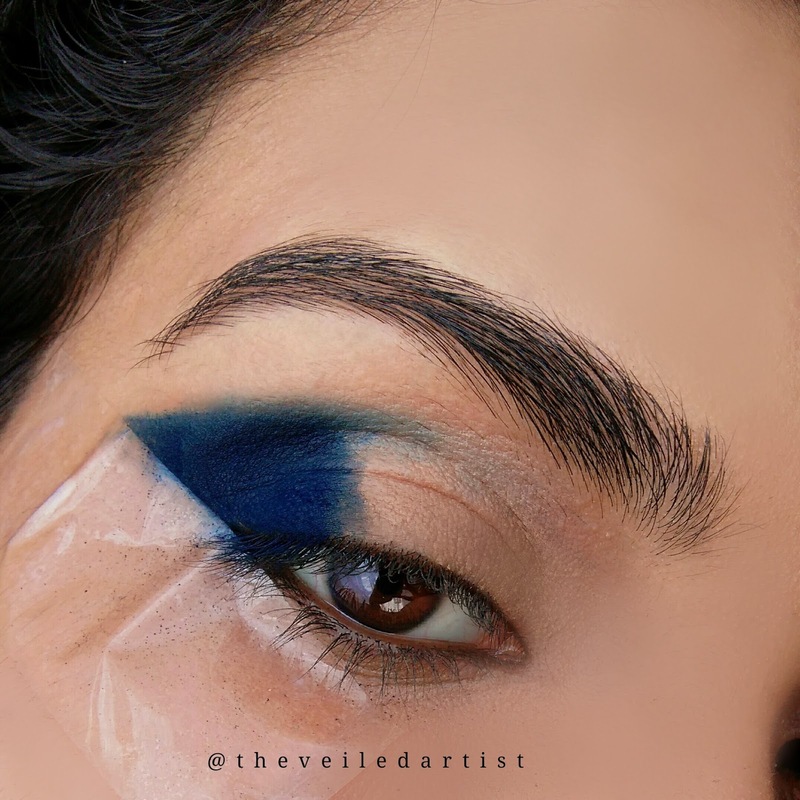 Line your upper lashline with some liquid or gel liner. This does not have to be perfect because we'll be applying false eyelashes on top. If you don't plan on wearing falsies though, you can do some winged liner and finish up with mascara. But I wanted to go all out! So I popped on a massive pair of gorgeous lashes! And you're done!! I hope you enjoyed this crazy dramatic look my loves! Thank you so much for reading! You can check my last post here! It was an eyebrow tutorial filled with great tips and tricks! Check my post to see if it was worth the hype or not!